I want to talk about a a phenomenal woman that I know. She is a strong, dignified, inspirational and sensational. She has looked defeat in the face and has risen to greatness. She is paving a way for young women and girls to reminding them to never stop dreaming. Never give up on what you are destined to become. No matter where you are in life she has reminded us to “Show Up”. That to “Show Up” is not just in the physical sense but in all aspects of our life. We must celebrate where we are until we get to the next level. She has reminded me that everyone has unique and distnict purpose in life and with faith and God in our corner we will get to our final destination. 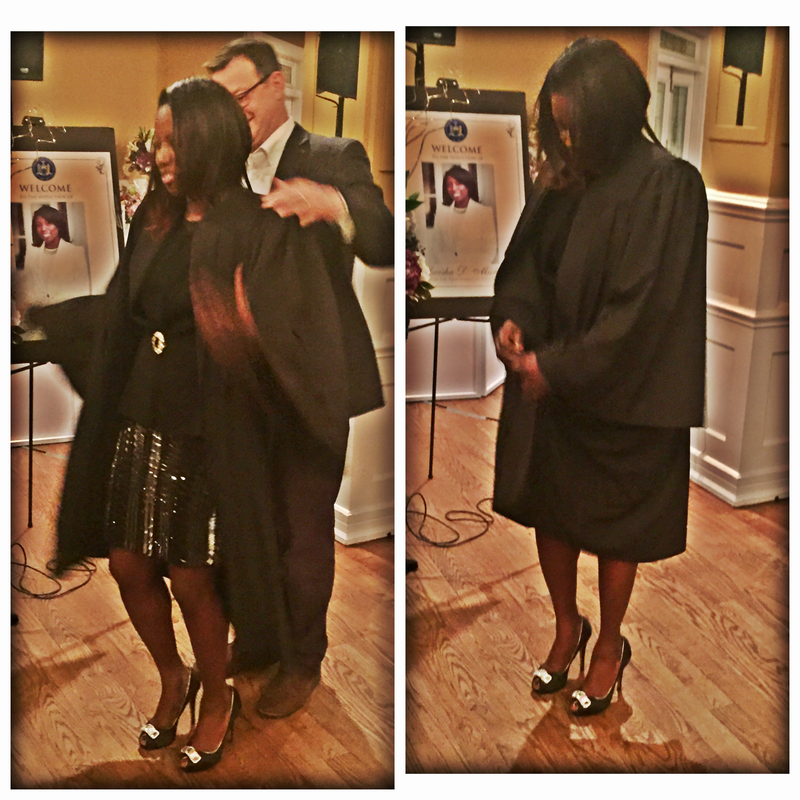 I had the pleasure of attending this phenomenonal woman’s induction ceremony this past Friday as she was being sworn in as the Civil Court Judge for the Bronx, a county in New York City. Yes a woman of color, upholding the right to make crucial and tough decisions that would impact the lives of individuals and their families forever. It takes a special kind of person to do this job. One that knows the law, knows how to be fair and one who can be a voice for the people. Judge Marsha Micheal is the woman for the job. As her colleagues and friends spoke about her they echoed the fact that she is a woman who they definitely need on their team. Which shows that her role is vital to the success of any team she is apart of. She is a winner in every way and has inspired me more than she will ever know. Bigger and Better. She is super awesome!